In yet another blow to Canada’s energy sector, a U.S. court recently blocked further construction of the Keystone XL pipeline pending additional environmental analysis. TransCanada, the pipeline builder, or the Trump administration can appeal the ruling (in fact, President Trump says he will appeal but it’s unlikely the higher court will overturn the decision). Simply put, it’s an impossible legal hurdle—to somehow document that increased imports from Alberta’s oilsands will have no impact on global warming or pose no risk to local water supplies and habitat, which seems to be the de facto standard emerging in legal challenges to the pipeline. Of greater long-run significance, however, are political and economic developments likely to eliminate U.S. importers as sources of demand for incremental barrels of Canadian crude oil. Perhaps most importantly, environmental and Native American groups are increasingly—and successfully—using the court system to block major energy investments. Increased access to funding for legal challenges and growing experience with constructing successful legal arguments enable these groups to sustain prolonged actions to block investments, which will ultimately render many investments unprofitable to initiate. Moreover, the strong support of millennials for actions to address global warming will further embolden U.S. politicians to tighten the criteria used to evaluate the environmental harm of producing and transporting oil. This will likely include legislation limiting the scope of actions by the executive branch to overturn or bypass environmental regulations approved by Congress. U.S. politicians willing to accept the political risks associated with being labelled enablers of global warming are likely to limit their support to domestic investments in energy development (there’s ample demand for increased domestic pipeline capacity to transport shale oil produced in the U.S. Southwest). And politicians willing to support increased production can at least argue it will promote domestic employment and U.S. energy independence—a message that still resonates with parts of the U.S. electorate. Clearly, however, there’s little political gain for U.S. politicians to support increased imports of Canadian crude oil. While the implementation of carbon taxes in U.S. jurisdictions, in principle, would help support arguments for reducing command-and-control regulations affecting the production and utilization of carbon fuels, even liberal voters in the United States seem hesitant to vote for some form of carbon tax. For example, in the very blue state of Washington, voters twice rejected ballot propositions to introduce both revenue neutral and non-neutral carbon taxes. The implication is that Canadian oilsands producers will also face an increasingly cumbersome regulatory environment in the U.S., where politicians and voters have implacably negative views of the oilsands. The consequences for Canadian oil companies are obvious. 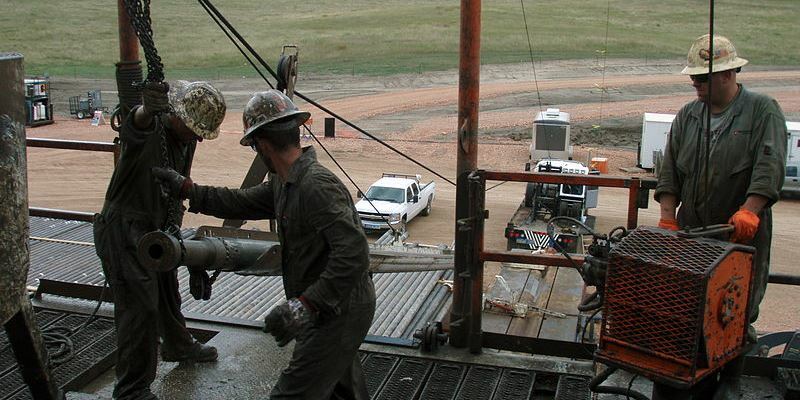 The U.S. is no longer a reliable market to sell incremental barrels of crude oil. Consequently, the large price discount on Alberta heavy crude oil will persist unless new incremental markets are developed. The obvious candidates are developing Asian economies. However, even in this region, Canadian exporters face increasing competition from a growing shale oil industry in China, and Russian oil and gas producers looking to expand their export markets beyond European customers. In terms of foregone revenues to Canadian oil companies, the costs of the ongoing delay of another pipeline project—the Trans Mountain pipeline expansion, which would move oil from Alberta’s oilsands to tidewater in Vancouver—are increasing as market opportunities decrease. If the federal government continues to delay the project, producers elsewhere will exploit new sources of demand for oil while Canada watches from the sidelines.